I don’t own a little black dress. Fashion magazines would tell me that’s a total fashion faux pas, but honestly, where in the world am I going to wear one? I do, however, own two long grey maxi dresses. I can wear these babies anywhere: they look cute and feel like pajamas, which always sounds just perfect to me. 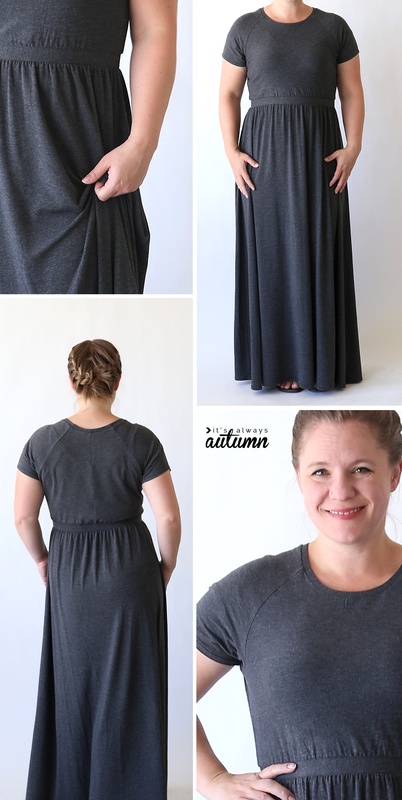 Here’s the grey maxi dress I made last year, and today I’ll be showing you the new one I’ve made this year. I really like it! 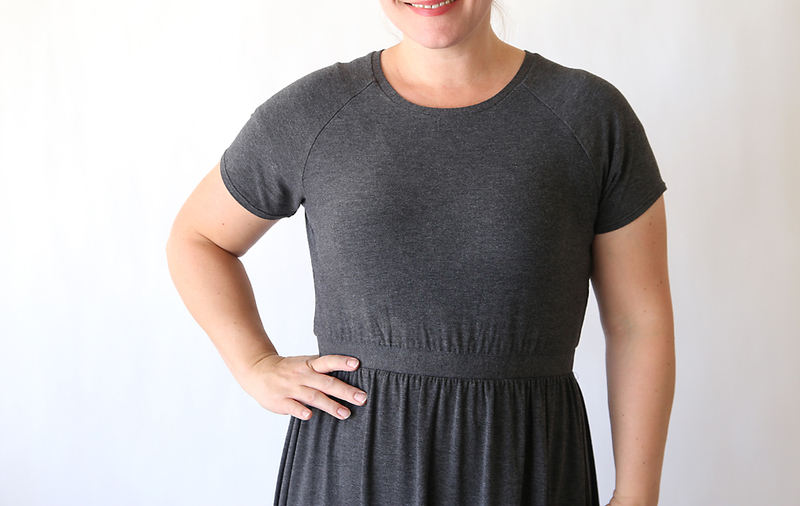 Keep reading to learn how to sew a raglan tee maxi dress. Like all maxis, it’s crazy comfortable. But this one has a little more class. It feels a bit dressier than the other maxi dresses I’ve sewn, even though it’s essentially a raglan tee shirt with a skirt attached. This tutorial is a little bit more complicated than what I usually share. 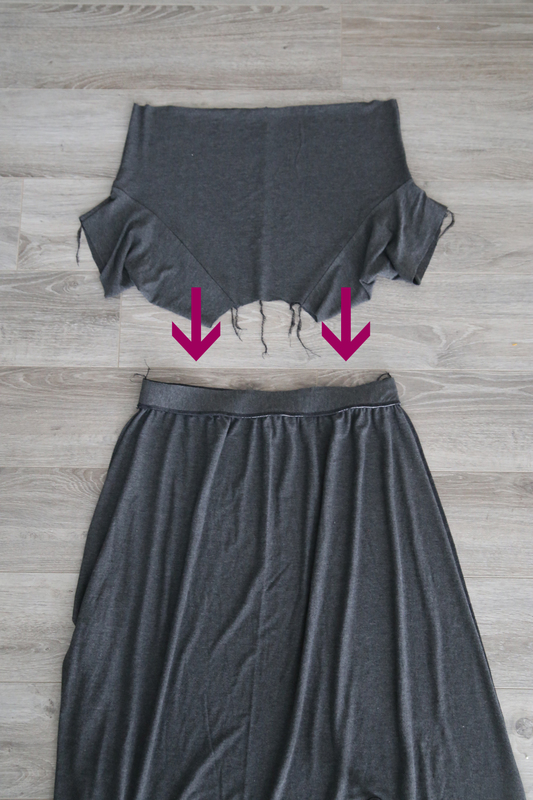 I mean it’s still a pretty easy sew that basically involves sewing a tee and a skirt and connecting them in the middle, so if you’ve sewn tees and skirts before, don’t be intimidated. 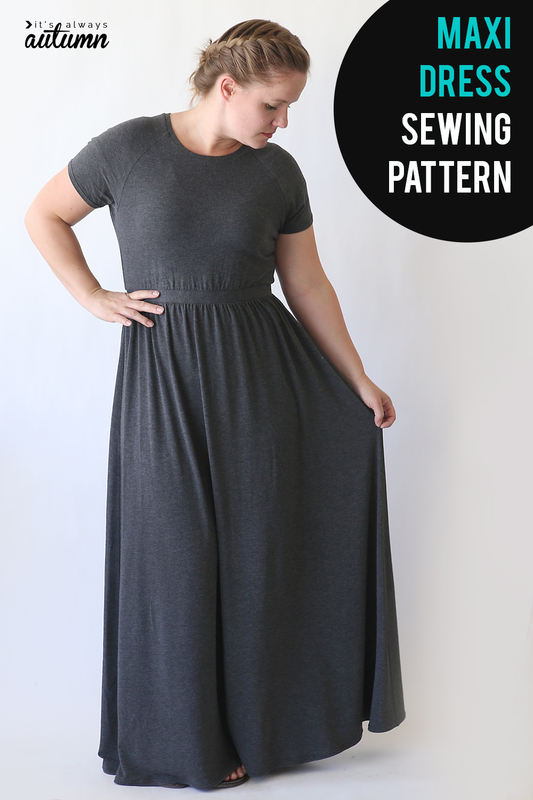 But there are a few pieces and dimensions to figure out in the cutting phase, so if you haven’t sew much before, you might want to start with something simpler, like this easy tee maxi. 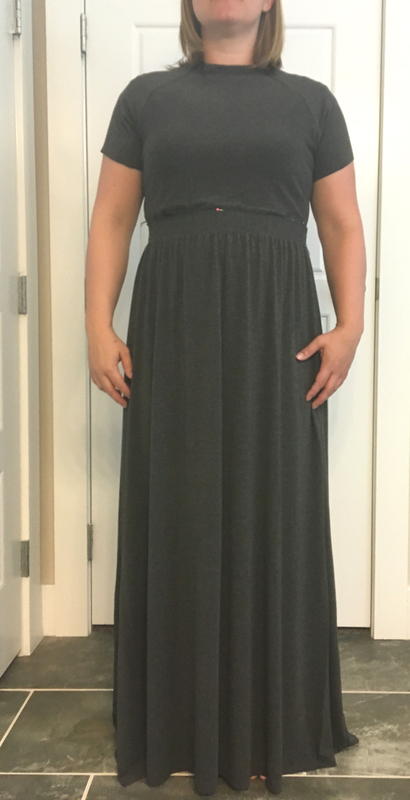 For this maxi dress you’ll need about 3.5 yards of knit fabric (I actually managed to squeeze mine out of 3 yards, using just about every bit of fabric, but I’m short). That’s a little more fabric than I usually use on one project, since I’m so cheap, but I really love how it turned out. It’s comfortable enough to wear whenever, but dressy enough to wear out. Worth the fabric investment in my opinion. 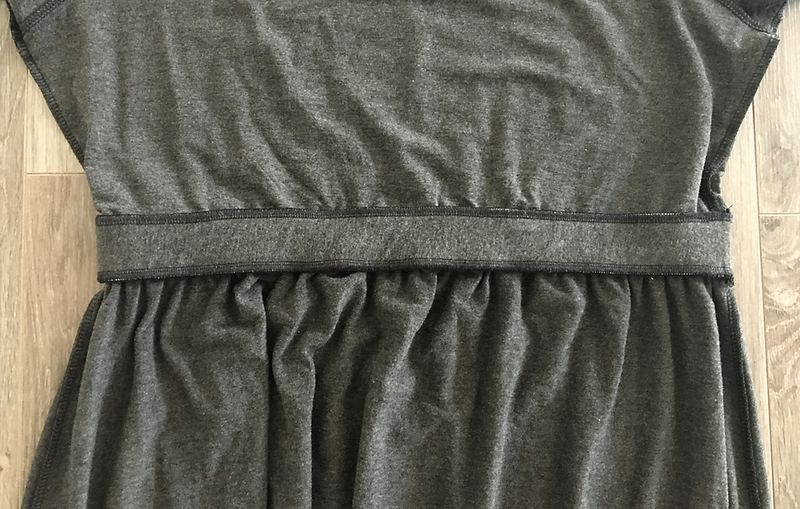 I used this charcoal grey cotton lycra jersey from Raspberry Creek Fabric and I love it! It’s super soft, almost silky feeling, but not too slippery when you sew. Really a wonderful knit from a great shop with excellent customer service. Make sure you wash and dry your fabric before you start cutting anything out. For the bodice of the dress, I used my free raglan tee pattern in size L. You can download it here. 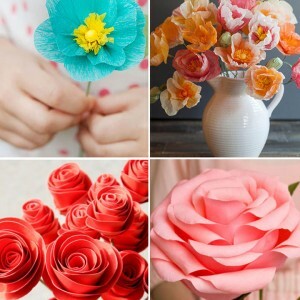 Or you can learn how to draft your own in a different size here. The bodice of the tee pattern is usually 3 sheets of paper long; for this dress I cut the pattern off at the bottom of the second sheet of paper, or just below my natural waist. 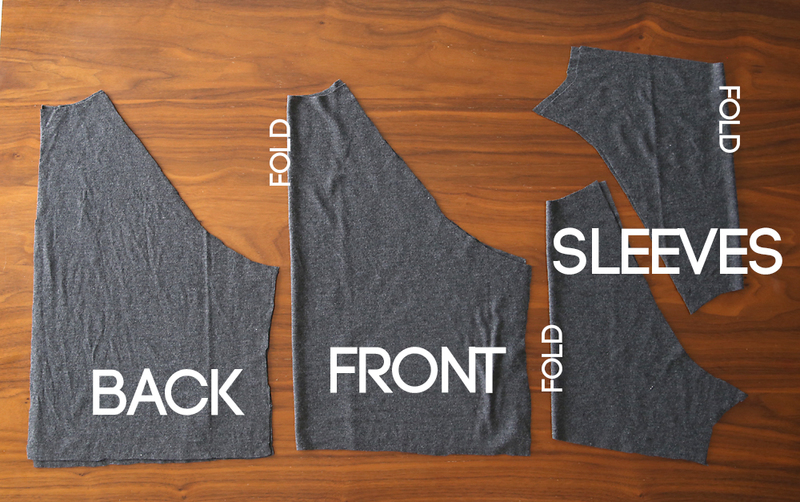 Here’s how to cut out the bodice and sleeves. Fold your material in half with stretch going side to side, matching the selvedge edges. Place the bodice pattern on the fold and cut out (this will be the front). Then flip the bodice pattern over and place it near the selvedges and cut out again, adding 1/2 an inch to the straight edge as shown below. This will be the back. Use the fabric in between the bodice pieces to cut out the sleeves as shown below (basically, you are cutting the sleeves on the fold so you have 2 sleeve pieces instead of 4 half sleeve pieces). 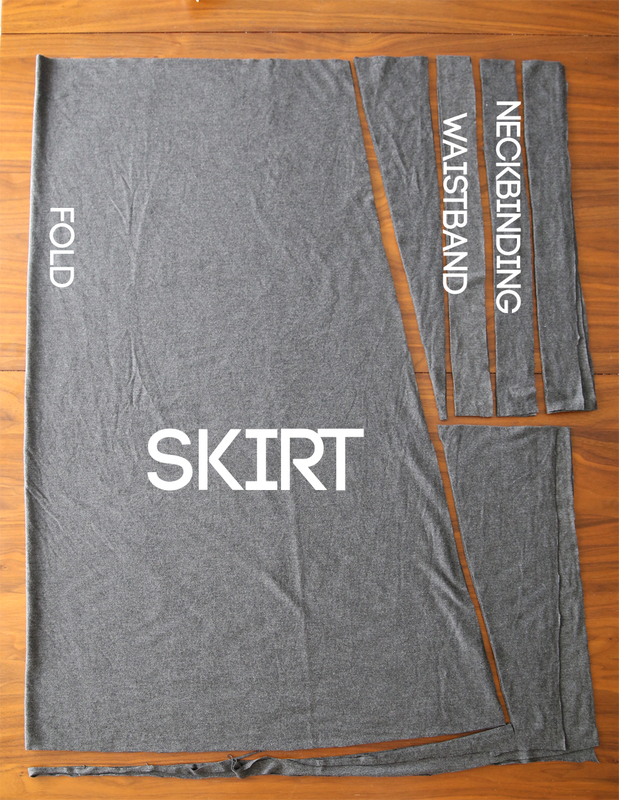 With the remaining fabric, you want to cut skirt pieces, waistband pieces, and neckbinding. 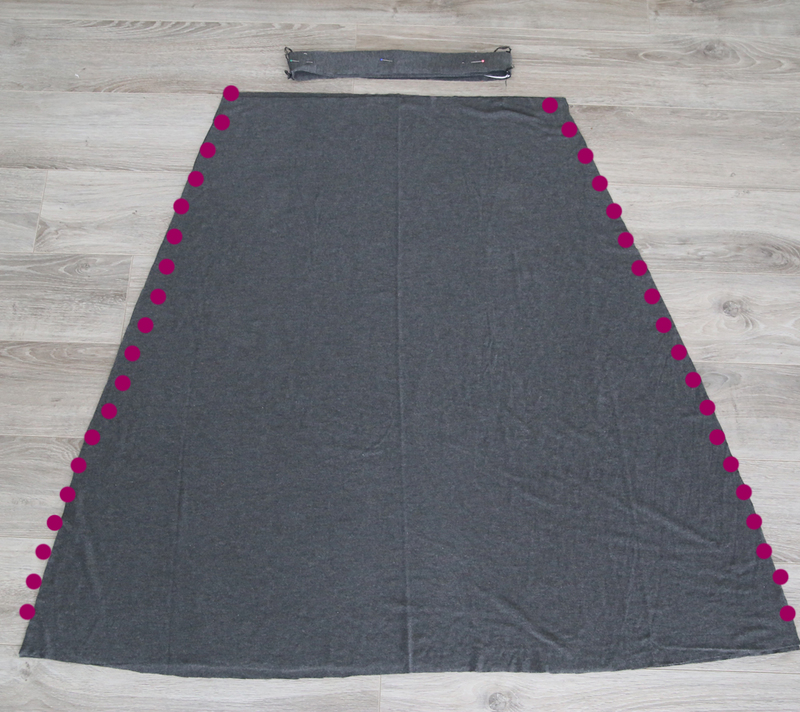 What you see below shows one skirt piece, cut on the fold. You need two of them, one for the front and one for the back. My skirt pieces were each about 24 inches wide at the top, angling out to 50 inches wide at the bottom, and approximately 42 inches long. If you have 3.5 yards of fabric instead of just 3, you could make your skirt pieces a bit longer. You also need 4 waistband pieces: each should be 1.5 inches high and as wide as the bottom of your bodice pieces. 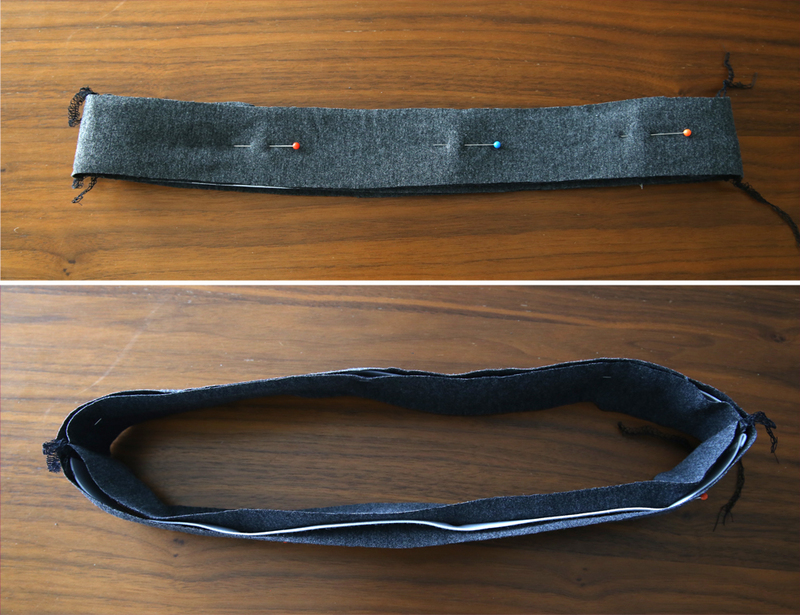 Finally, you need a strip for the neckbinding that’s 1.75 inches high and about 24 inches long. It’s best to cut these pieces out side to side because they need to stretch along the length; however, I didn’t have enough fabric to do that so I cut all of these pieces up and down on my fabric. It works since the fabric I’m using has 4-way stretch. If your knit only stretches side to side, these pieces must be cut out side to side. Ok, getting all the pieces cut out really is the hardest part. The sewing is easy! Start by placing the back bodice pieces right sides together and sewing down the straight edge, so the back bodice looks just like the front, except with a seam down the middle. 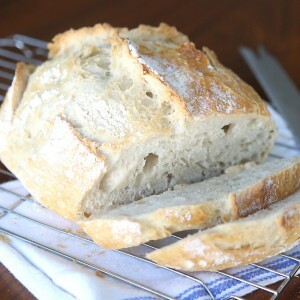 Then you’ll sew up the top just like you would any raglan tee. 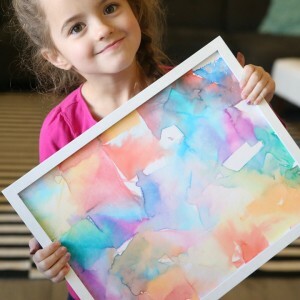 Check out this post for step by step instructions. Try it on and make sure it fits how you like. I wanted the top of my dress to be fairly fitted, so I took in the side seams a bit, as shown below. 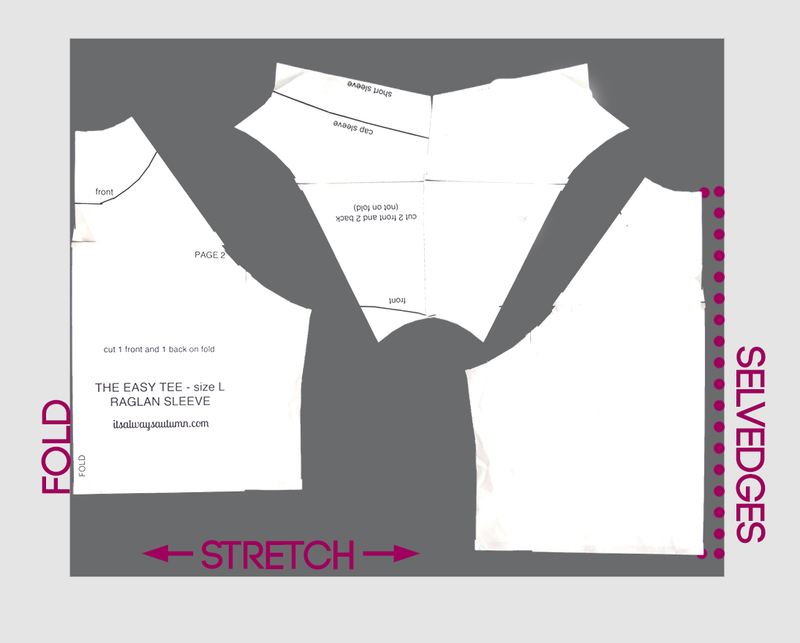 Now you can set the tee portion aside, and grab your waistband pieces. 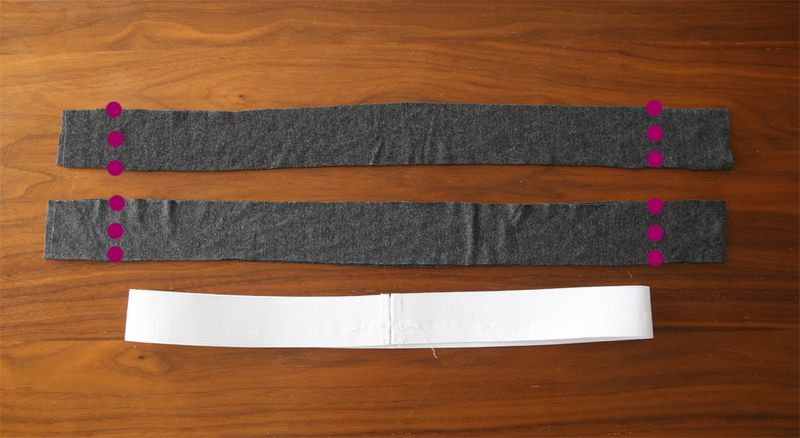 You will also need enough 1.5 inch wide elastic to go around your waist. 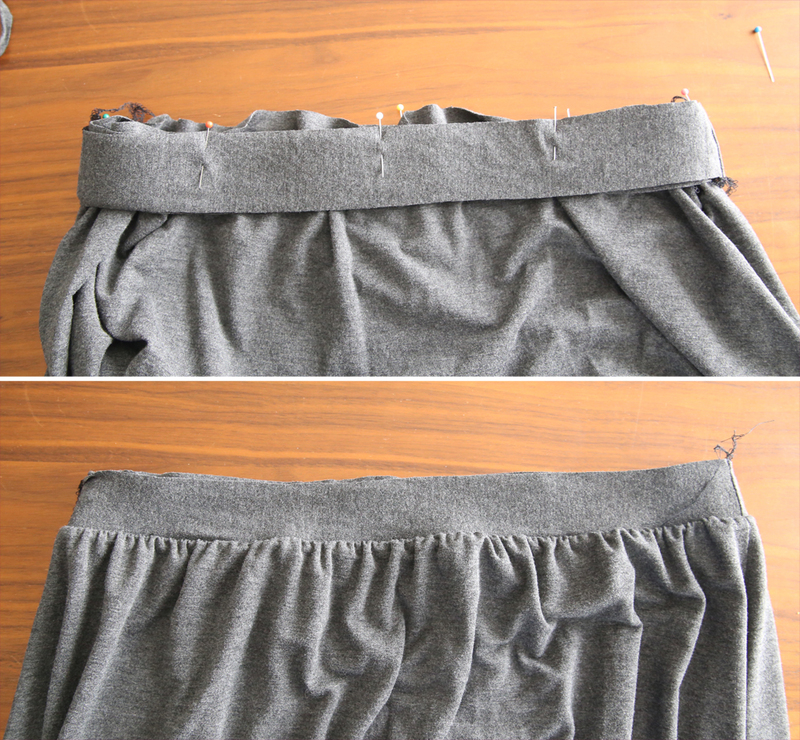 Sew the ends of the elastic together and try it on. It should be fairly snug around your natural waist so it’s tight enough to hold up the skirt, but not uncomfortable. Now it’s time to try on the tee piece and the skirt piece together. Tuck the tee into the skirt and pull the skirt up until it’s at your natural waist (or wherever you feel is most flattering). Mark where it hits on the tee piece with pins. 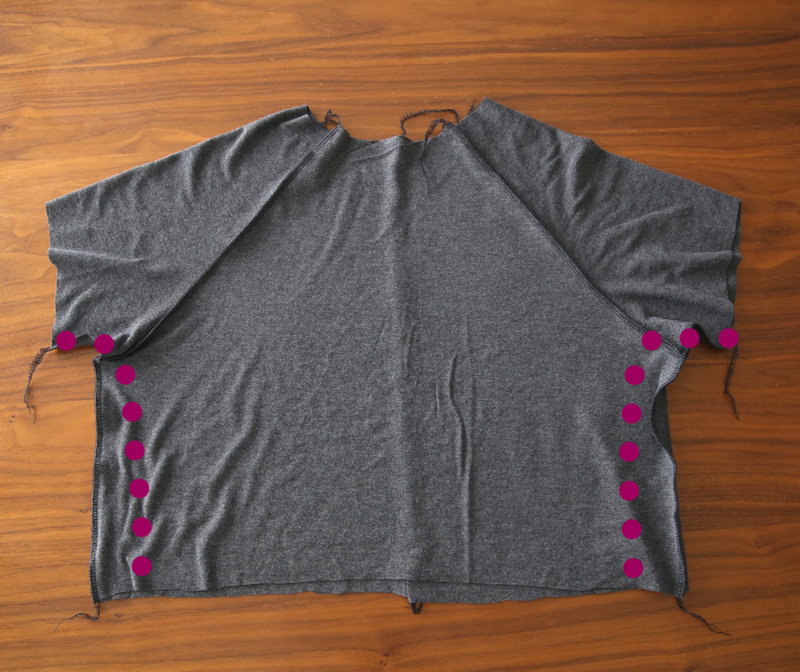 Now you can attach the neckbinding as described in this post and hem the sleeves. Before hemming the bottom, it’s a good idea to put the dress on and have someone else measure an inch up from the floor and mark with pins all the way around. Use this as your hemline to ensure the hem looks even when you wear the dress. I always use a double needle to hem knits. EEP! Sew cute & cute on you as well!! 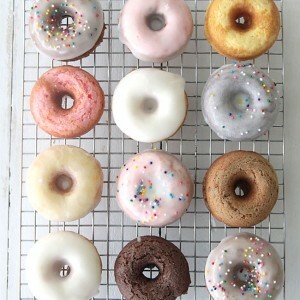 I like this style on you much better than the other grey one, VERY flattering!! You make it look SEW easy but it may be if you’re using a serger. Thank you for this awesome tute. I am going to try this. I agree it looks great on you 🙂 I’m wheelchair bound and find maxis can get caught up 🙁 but I like this so much I’m going to go for a “capri trouser” length and make it in a Summery fabric just in case we get a summer 🙂 I’ve got some gorgeous bottle green fabric for winter which I’ll use this pattern for too. PS Just signed up for Pottery & Stained Glass classes in Autumn going to use one of your t-dresses shortened with pockets as work tunics! Will this dress easily go over large busted size? Will it be necessary to leave a larger side seam? I would like to make this dress. (I’m in my 80’s. I am in my 60’s,I have made several for my Momma she is 94 she loves the way they flow and so easy for her to put on. You will love them. I think that you could probably try making it like a high low type skirt with the high being in the back, maybe to your mid calf or knees, and the front just hitting at your feet/ankles. It would look odd when you held it up or if someone would to walk around in it, but I think that Would give you the look of a maxi without the extra fabric getting caught up in the chair. I think this look awesome on you, it’s comfortable and classy, perfect combo!! Great tutorial too, thank you. Very nice! It looks great on you. Can’t wait to try it. Wear it to go shopping /collect the children/ do the laundry/ if it is destined for the recycling at least give a chance to get some love from you…. Oh, I love this dress, especially the waist detail! I am so going to try to make it when I have the money for some great fabric! Thanks for sharing this! This is a great pattern, the style really suits you. I’m a bit vertically challenged do hoping it will work it’d magic for me as well. Thank you. Hello- I was wondering, is it possible to make this using a non-knit fabric? I’m trying to make a sheer maxi dress to wear over another dress, and I love this pattern, but sheer fabrics are way less stretchy. Can you make a video tutorial on this dress? Did you use a sewing machine or a serger? Thanks! Putting a waistband piece on the inside of the elastic as well just makes the inside of the dress tidier, and lets you have soft fabric against your waist instead of the elastic itself, which can be scratchy. It’s not necessary, however, and you could skip it if you wanted! Someone above asked about making this dress without the waistband and I am curious too! I’d like to make this without the waistband and elastic- Do you think I could just attach the shirt and skirt the same way you usually attach to elastic piece? Thank you!